Our days of summer may be dwindling, but these Barefoot Moscato Strawberry Popsicles will help us go out with a bang. Mix up a batch of these popsicles for your Labor Day weekend celebrations and soak up the final days of summer. They're a bundle of Barefoot Moscato, strawberry and peach goodness. Yum! Wash the strawberries and peaches really well, then cut the tops off of the strawberries, cut the peaches in half and peel the fuzzy skin off. Save a few strawberries, thinly sliced, to add into the actual popsicle mold. Put all of the ingredients into a blender and blend on high until completely smooth. 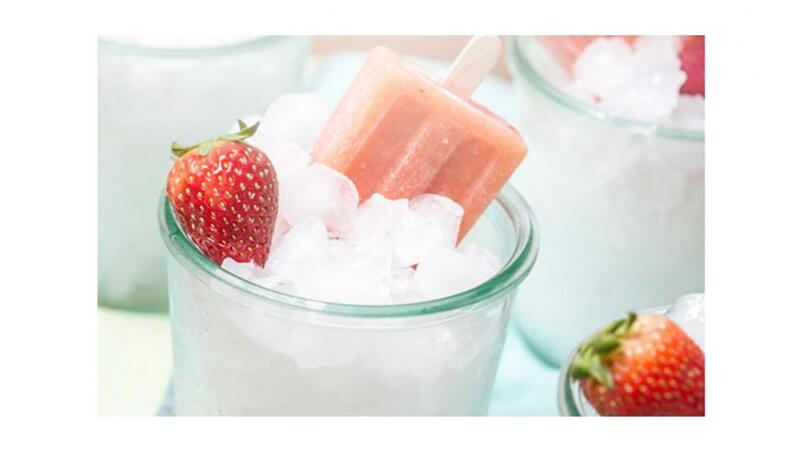 Pour into popsicle molds, add in a few pieces of fresh strawberry and freeze for at least 8 hours. Overnight is even better.